Private treatment rooms for full body massage or chair massage sessions for Back, Neck & Shoulder, Feet or Hands in semi-private salt rooms. [Escape Package] 40 minutes $99 or $125 with RMT - This package includes: Hand & Foot Massage plus a paraffin treatment for the hands or feet. 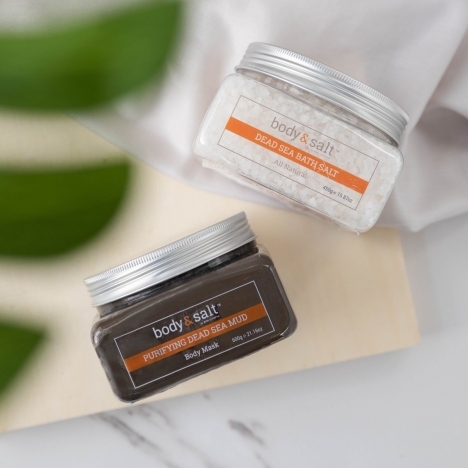 Shop in-store or online for an extensive selection of natural salt products for your health and wellness. "Booked in here for a 50 minute full body massage ... Tara was so lovely and absolutely incredible! Such a great atmosphere and lovely staff! Highly recommend!" middle of the mall. You must find it and take time for you"
"This is the second time i took my boyfriend and today he got a message from alexandra and he only has good things to say. We will def come back to see her." Relax, unwind and breathe deeply, take this time to focus on your well-being. Our semi-private massage rooms are built of Himalayan Salt providing you with a unique experience with many added health benefits at no extra cost. Become a massage therapist today!